Amongst the 66 mammal species resident at Madikwe Game Reserve are the imfamous Big 5 – the elephant, rhino, buffalo, lion and leopard. Add to that giraffe, hippo, cheetah, wild dog and hyena and you have the Madikwe Top Ten! The term “Big 5” was coined by big game hunters to describe what they deemed to be the five most dangerous animals to hunt. 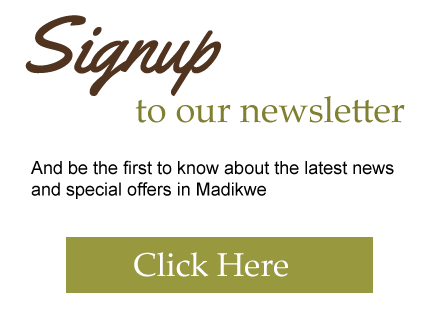 However, nowadays the term is widely used to describe these magnificent animals, which feature on most wildlife enthusiasts lists of must-see game. The African Elephant is the largest living terrestrial animal and is no stranger in Madikwe Game Reserve with a recent census putting the population at over 900. These incredible animals are highly intelligent and roam around in family groups, called herds. A typical herd is made up of closely related female elephant and their young. The leader of the herd is an old female who is called the Matriarch. Once they hit puberty, the male elephants are ousted from their herd and tend to form alliances with other males. 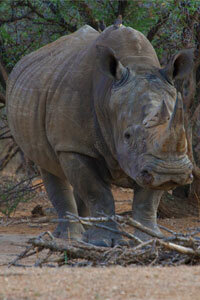 Madikwe is home to both black and white rhino, although the white rhino is not technically part of the Big 5. These large mammals have subtle differences; the white rhino is the larger of the two and has a “square” lip that helps it with grazing, whereas the black rhino is slightly smaller than the white, and has a “pointed” lip that helps it pull leaves off the plants it eats. The black rhino is notoriously bad tempered and should be treated with respect when spotted. Unfortunately rhino poaching has become a significant problem in South Africa and threatens the continued survival of these species. However, recently the anti-poaching programme that has been rolled out in Madikwe seems to have turned the tide in the war against poachers of the endangered rhino in the Reserve. 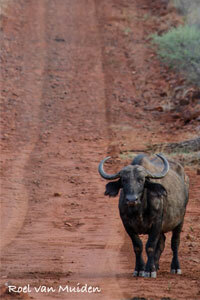 There is a healthy population of buffalo in Madikwe, numbering some 844 animals. These animals often form large herds and must be respected when seen. Buffalo have a reputation of being aggressive and may become dangerous if they feel threatened. Unfortunately buffalo are susceptible to many diseases, including bovine tuberculosis. 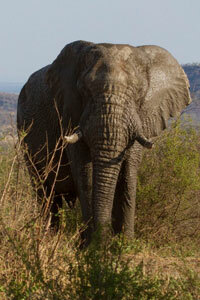 Madikwe has a disease management programme in order to control the spread of these diseases. 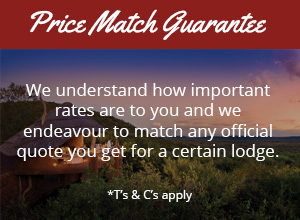 Lion are the cornerstone of a wildlife experience and this is no different with it comes to Madikwe Game Reserve. These magnificent cats are at the “top of the food chain” and when you see one in reality, it is not difficult to see why. The male lion can reach 250kg while the female can reach up to 180kg. 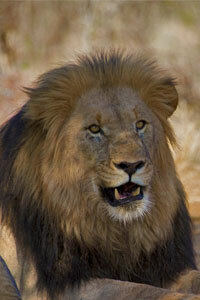 The lion in Madikwe were originally introduced into the park from Etosha National Park (in Namibia). However, recently two new males were introduced from the Kgalahadi Transfrontier National Park in order to introduce new genes into the pool. Park Management employs a strict population management system for the lion population in order to ensure that homeostasis is maintained, i.e. that the balance between the predators and herbivores is maintained. Recently the population of lion was reduced by 40 due to relocation activities, from 100 to 60 lion. Despite being the smallest of the big cats, the illusive leopard is on everyone’s wildlife wish list. These animals are spectacular with their unique rosetted coat. They are generally solitary cats, unless they have young. The success of leopards as a species is due to their incredible adaptability in various habitats. 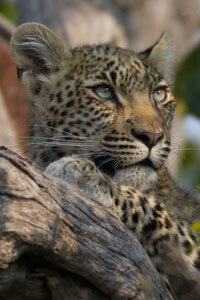 When at Madikwe, keep your eyes peeled for leopard, especially in the early morning and during the evening.